Most of us take for granted that the government tweaks interest rates and the economy through the Federal Reserve—we know they do it, we just aren’t sure how or why, and we assume that it’s for everyone’s benefit. 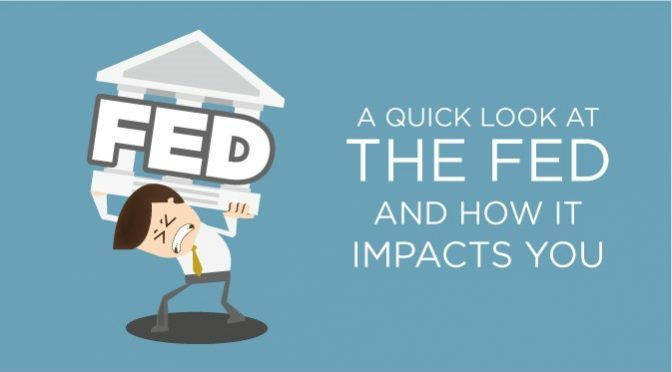 The monetary policies and mandates made by the Federal Reserve, or the “Fed” have profound impacts on the day-to-day finances individuals in the U.S. and around the world. It’s vital that when creating a financial strategy, you research what they do and why. Regardless of political affiliations, many are describing the current U.S. economic situation as dire; on the brink of what Ron Paul calls a “currency crisis” caused by the Fed’s attempt to stimulate our economy. One thing is fact, we have trillions and trillions of dollars floating around that are backed only by good faith. Some describe that as kindling—and the sparks are inevitable that will ignite an enormous economic fire. When people and organizations have access to huge loans that may not be paid back, it creates economic bubbles. We’ve talked a lot about economic bubbles forming in segments like student loans, the auto industry, and the obvious housing market bubble bursting in 2008. What’s the Fed’s role in creating these bubbles? See our blogs; How To Use Negative Interest Rates To Your Advantage and How to Better Understand the Premise of Money. Around the turn of the 20th century the U.S. experienced financial panic that triggered the Great Depression. As a response to recover and prevent it from happening again, Congress passed the Federal Reserve Act in 1913. This created a central bank which would operate throughout the U.S. to promote sustainable growth, high levels of employment, stability of prices, and to help preserve the purchasing power of the dollar and moderate long-term interest rates (source: Investopedia). In other words, the Fed’s job is to boost the economy through regulating supply and demand using a central bank. The Fed serves as the banker’s bank, the government’s bank, the regulator of financial institutions and as the nation’s money manager. It’s an independent entity subject to oversight from congress. Regardless of who is sitting in the oval office, the Federal Reserve has the power to manipulate the economy in a staggering way. Currently, what the Fed should do and what they are actually doing may be two different things. Over the past 8 years, the Fed has produced more than 8 trillion dollars in an attempt to stimulate the economy—a major contributor to doubling the national debt (source: U.S. National Debt by Year). Let’s be clear, this money is essentially over 8 trillion dollars that was just printed—created out of thin air, not backed by anything but hopes, wishes, and good faith. One thing is for sure, no matter your opinion of The Fed, it has immense power to create money. When money circulation increases, prices rise and the value of the dollar drops. That means your purchasing power goes down. And when the U.S. government creates money from thin air they will eventually raise taxes to cover the debt. When the Fed does all of this without asking the American people (i.e. through voting), it’s called “taxation without representation.” That sounds familiar because taxing the people without their consent was a major cause of the American Revolution. Next you’ll see rats deserting the ship. By this we mean that investors around the world will lose confidence in the U.S. dollar. Already a dozen or so countries have used currency other than the U.S. dollar to back trade deals (countries have used the U.S. dollar internationally to back deals for over 50 years). 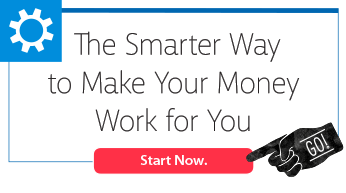 • Start an emergency fund—start with $1,000 and then put any extra money you come up with there. An emergency fund is something you should have at all times for unexpected expenses. Ultimately, you’ll want to work toward $10,000 of liquid cash stored safely in something like whole life insurance with a cash addition. • Have cash on hand in a savings account or cash box at home. In case it takes time to get to your emergency fund, you’ll need some cash that’s easy to access. • Think about an additional source of income you may add using skills you already have (handmade goods and needed services). If you’re unexpectedly unemployed, you can develop the additional stream of income as an alternative. • Get out of debt by setting a budget and method to pay off those credit cards. Then if you have any self-control issues, cut them up. Find other ways to build credit. • Prepare your home by investing in power backups (like a generator), tools, and emergency supplies. • Consider storing some supplies that you could barter with in an emergency economic collapse like gold, wood, batteries, and fuel. Finally, educate yourself on the relationship between interest rates, inflation, oil prices, 10-year bonds, and the health of the U.S. economy. Create relationships and networks of other who have this knowledge and will know what to do. Position your assets, investments, and even your profession strategically within the next 5 years. You many not be able to directly profit from your knowledge about the Fed, but we strongly believe that the more knowledge you have about the way our financial system works the more it can help you in all your financial decisions and more you will be prepared in the event of a total system meltdown. We want to help you be prepared on all fronts, and strongly believe that more education is key. We’ve developed a huge online resource with concepts and education that is FREE. This extensive eCourse is called Perpetual Wealth 101. Sign up in under 2 minutes and you’ll receive access to video tutorials, articles, and podcasts. You can quickly browse the topics and see which concepts most interest you. It literally costs you nothing to become more educated on these ideal financial strategies and start changing your wealth paradigm!